Greece was fertile ground because expenditures on pharmaceuticals skyrocketed and the entire medicines network before the bailout had been through a period of provocative over-consumption. 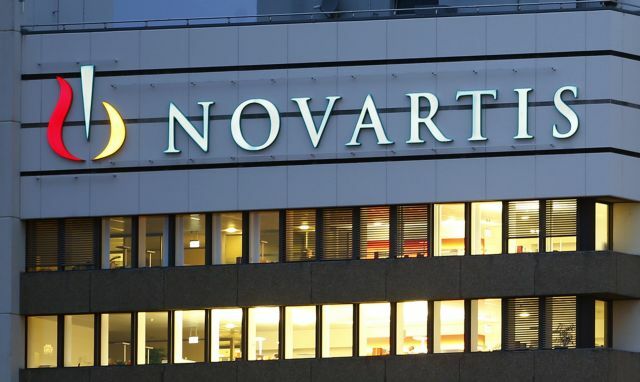 The Novartis affair has evolved into a major issue involving an institutional aberration and a departure from democratic normalcy. It emerged as a result of audits of the multi-national Swiss pharmaceuticals company by US authorities, which are sensitive about issues of exceedingly rapid entrepreneurial growth and of competition. Needless to say, Novartis over recent years achieved a rapid penetration into the American medicines market, thus irritating its strong competitors and authorities by extension. It is well known that anti-trust law is exceptionally strict in the US and many businesses, domestic and foreign, are confronted with its consequences. It was deemed suspicious as regards implementation of illegitimate commercial practices and methods and it was audited very strictly. American authorities particularly evaluated the expansive network of associated doctors that the company maintained globally and the wealth of benefits that accompanied that networking. The company had developed such a network in our country as well and that is why Greece was included in the US investigation. Studies show that there were over 4,000 Greek doctors who participated in the Novartis network. Naturally, they received payment, trips, and other perks. All of that was well and good. The investigation was derailed when the government decided that it had found an opportunity to incriminate the entire “old political system”. To this end, there was coordination between ministers, government cadres, and “willing” prosecutors, either because they were weak or because they were consumed by the [clean hands jurist Antonio] “Di Pietro syndrome”. Revelations over the last days indicated that to this end vulnerable individuals were sought out, associates of the specific company were exposed and “confessions” were demanded of them under a state of psychological pressure and blackmail. That is how general references to political figures – including former PMs, ministers, and bankers – were exacted in the form of rumours and uncorroborated information indicating that they were paid to favour the extension and growth of Novartis’s activities in Greece. 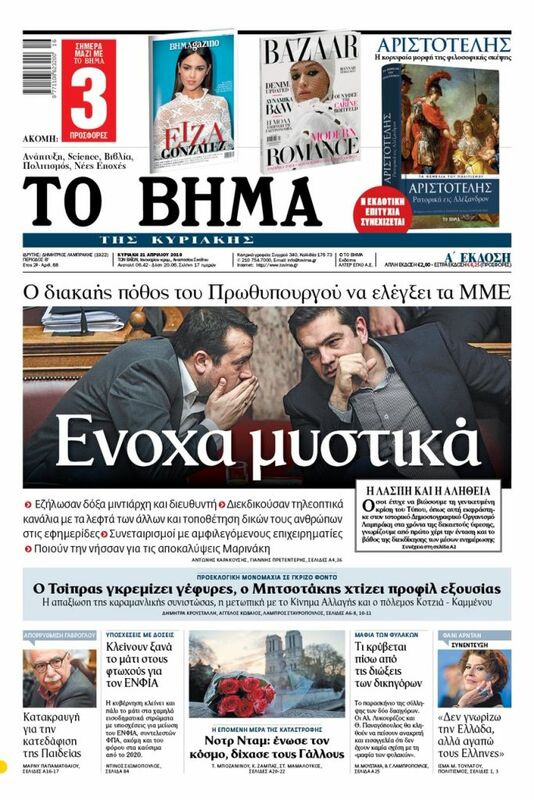 The entire affair was presented by the government as the greatest scandal since the establishment of the Greek state. Still, reservations were expressed from the start and there were loud protests from the implicated politicians, who declared that they were victims of a conspiracy and of an organised plot to annihilate them. After nearly a year, with the case moving at a snail’s pace and doubts multiplying, we saw the first protected witness come out and declare publicly that he was pressured in a number of ways to offer “confessions” that he did not have and to reveal events of which he was not aware. Precisely because he did not succumb to this blackmail, he was transformed by authorities overnight from a protected witness into an accused person facing felony charges. He stated that he was pressured insufferably to speak and to attribute responsibilities to specific politicians with whom he was not acquainted. There are reports that yet another protected witness is also preparing to speak publicly about alleged blackmail and pressures. This is where the huge issue of institutional aberrations and the overarching issue of democrcacy come in. If indeed there was an effort to implement such practices to annihilate political opponents, then everyone must react and condemn this in practice. Such practices belong to other regimes and other eras. They are irreconcilable with our democratic form of government and our democratic mores. Trials such as those which were conducted in Moscow in 1936 have now place in Greece in 2019. Those who dream of them and work towards re-enacting them should knnow that they will be punished.